The Victorian Bush Nursing Association (VBNA) was established in 1910. Over 150 Bush Nursing Centre’s and hospitals across Victoria have provided much needed Nursing care in country areas that were without regular medical support and services. Over time they have evolved reflecting the changing needs of their communities. 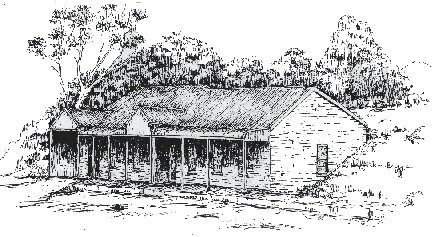 The remaining 15 bush nursing Centre’s continue to provide a vital service to remote and rural Victoria and operate as community-based non-profit organisation’s, governed by Committees or Boards of Management. The Harrow Bush Nursing Centre itself was established in Harrow towards the end of 1913. Following a closure in 1924, it has operated in its current capacity since it reopened in 1953. In 1994 after years of planning and fundraising, a capital redevelopment saw the Centre relocate to its current location in Blair Street. Further major capital works during 2007 resulted in a large and modern expansion to the current capacity of the Centre with additional office space, consulting capacity and an overall increase to the multipurpose area. When an opportunity arose, the Committee of Management purchased additional land which saw the development of the Harrow & district Men’s Shed which opened in 2012. This block also provides an opportunity for further development. The Centre is something of which the Harrow community is justifiably proud. Offering current health facilities and services, it is not just a place for the ill to be treated, but acts also as a community centre, adding to the quality of life of everyone in Harrow and surrounding district, from newborns to the elderly. It is viewed as a community centre by the local population and not just a provider of health care. The Harrow Bush Nursing Centre also acts as an auspice for the Bay Rider’s Community Centre which was established in 2007. In 2015-16, the Bay Rider’s Centre has seen a substantial growth in programs offered and community participation. 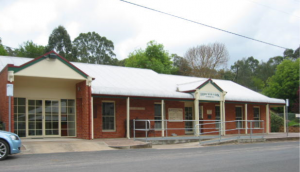 Historically, Bush Nursing Centre’s have held a unique status within the community, with most locals being members of their association. The Harrow Bush Nursing Centre membership base supports the ongoing provision of services to the community, and continues to remain strong.